•Comes standard with shallow water drive, an extremely useful feature when tackling rivers, estuaries and creeks. •Light weight and easy to transport. •Standard alternator/ lighting coil allows you to run a spotlight. The 25N is hugely popular for small fishing rigs allowing their owners to get to their favourite fishing spots with speed and confidence. 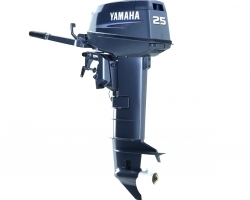 All engines in this range are extremely easy to use and provide the kind of performance Australian customers have come to expect from Yamaha. 2.Standard alternator/ lighting coil allows you to run a spotlight. 6.Features shallow water drive, an extremely useful feature when tackling rivers, estuaries and creeks.